A person who is diagnosed with a form of cancer often has to go through a significant physical and psychological ordeal. Furthermore, the news that he or she will no longer be able to work because of their medical problems may add to already existing distress. Social Security disability benefits can be paid to people who suffer from Cancers that are preventing them from being able to work. 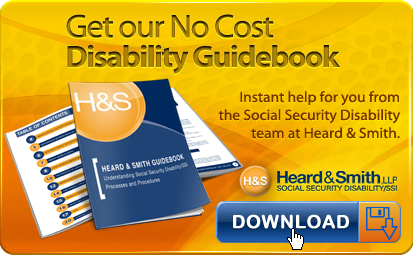 The Social Security Administration’s (SSA’s) disability rules say that an impairment must be expected to be present for at least last 12 months, or be a terminal condition, in order to help someone be deemed disabled. The treatment of most cancers involves surgery, chemotherapy, and radiation therapy. Many cancer patients are able to return back to work within few months after treatment, so not everyone with cancer will be eligible for disability benefits. If the cancer has not spread to other parts of body and no recurrence has occurred the chances of winning Social Security Disability benefits are much lower than if these events occurred. To meet a listing, and be awarded disability benefits, the details of a condition has to be documented in highly variable and technical ways depending on which type of cancer someone has. The length of time someone has been suffering from cancer related problems and limitations, their level of functional and cognitive problems, and their medical records will all help decide whether someone should file an application for disability benefits or not. In case of malignant (cancerous) tumors, the recurrence is common despite surgery, chemotherapy, or radiation therapy. With these more aggressive cancers there are fair chances of achieving Social Security Disability benefits. However, not everyone with cancer will win disability benefits. The disability evaluation process is nuanced and depends on many factors such as the level of problems and limitations one suffers, and other highly variable factors that will vary among different cancer patients. A bit of advice that will always help people unable to work because of their cancer is to get your own treating doctor’s opinion on your ability to do work like activities. If your own doctor does not think you can work then you should definitely apply for disability benefits. Also, be sure to get the doctor’s opinion in writing so it can help persuade Social Security about the level of your problems later on when they evaluate your case. Does My Child Qualify for SSI Benefits?